2019 Youth Camps – Registration open November 1st! Looking for a camp that is breathtaking in natural beauty, creates a vibrant and safe community, and encourages campers to explore the world around them? Camp Westwind has fostered life-changing outdoor experiences since 1937, and offers an array of exciting camp activities that include watersports (canoeing, kayaking, paddle-boarding, bellyacks, snorkeling), archery, challenge course, arts and crafts, disc golf, beach games, campfires, and many more. 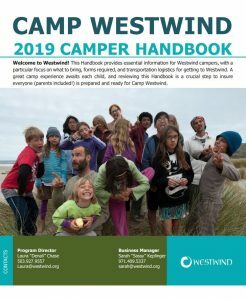 Whether it’s making friends with someone new, learning to use a kayak, participating in a campfire skit or hiking to an overnight spot where you spend a night under the stars, Westwind encourages campers to grow beyond their boundaries, giving them self-confidence by doing something they have never done before. During their camp adventures, campers spend their days trying new activities and participating in some of Westwind’s most exciting activities. No two days are ever the same! This is the perfect opportunity for first time campers to get acquainted with the magic of camp life under the careful and constant supervision of specially chosen counselors. 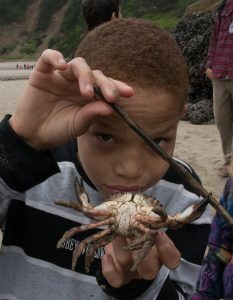 Campers will spend three days and two nights immersed in camp activities including arts and crafts, archery, beach time, campfire, songs, and making new friends! Mini Camp is a world where imagination comes alive! Campers spend a magical four days and three nights participating in their choice of daily activities while making friends and creating lasting memories. Activities include canoeing, kayaking, archery, challenge course, beach fun, skits, songs, campfire, arts and crafts, nature exploration and many more. Campers get a taste of everything Westwind and build confidence and independence to return the next year for a full session!